Wolves have snapped up versatile defender Ed Francis from Manchester City. The 19-year-old has penned a two-and-a-half year deal at Molineux with the option of another year, with Wolves paying City an undisclosed fee. 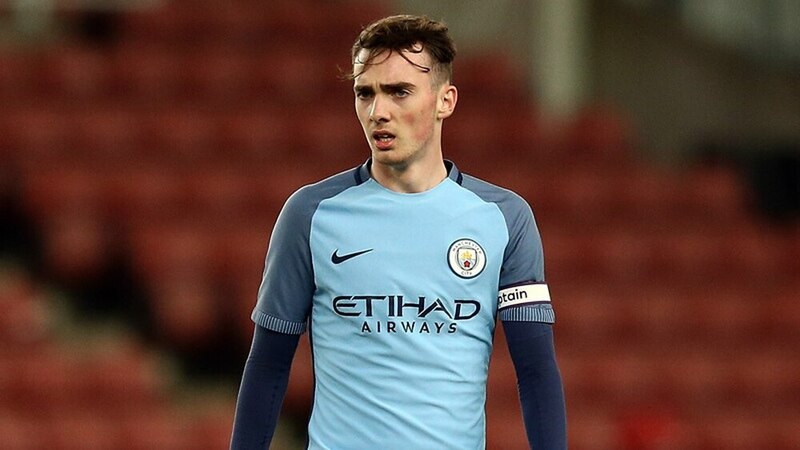 An England Under-19 international, Francis joined City at an early age and has been playing in the second tier of Dutch football this season during a loan spell with Almere City. Big thanks to the team @keysportsmanagement for getting the deal done. Francis, who played in the same City youth team as Phil Foden and Jadon Sancho, is a centre-half by trade but can also play in central midfield or at left back. And he is comfortable on the ball, as he told the Manchester Evening News in a previous interview. "Personally, I enjoy it because that's my style of play," he said. "I try and play from the back every time, I get more angry when we kick it long! "I think centre-back just suits me best because it shows off my best abilities, my passing range and you can control the game from the back. "When I was much younger, I used to be a left winger and I've moved further back the older I got. I've played centre-half for four or five years and sometimes in midfield as well so I'm not too bothered. "I'm predominantly a No.6 or a centre-half but I don't mind filling in at left-back and sometimes I do enjoy it playing there. "It's a new challenge and it's good to play in more than one position because then there's more chance of playing." Scott Sellars, Wolves academy's head of player development, has previously worked with Francis at City. He said: "We looked at what our requirements were moving forward, what we already had, and the opportunity came up where Ed was looking to move on. "When that quality of player becomes available we have to discuss it to see if it’s a good bit of business for ourselves. We felt moving forward he could really add to the group and at 19 he has a lot of potential." "We spoke to him and he saw how we play, and how the first-team play, and where the club is going, so I think he saw it as a good stepping stone for his career. "We know what he’s about and it was our job to sell what we’re doing to make the move good for him. He’s got experience in Holland and international football, so it’s a good move for the club." Francis will go straight into the under-23 squad.